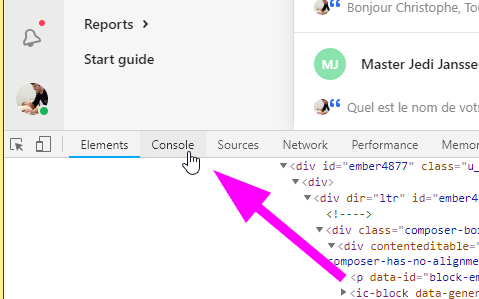 We've prepared this tutorial for Chrome users. If you're using a different browser, feel free to contact us. 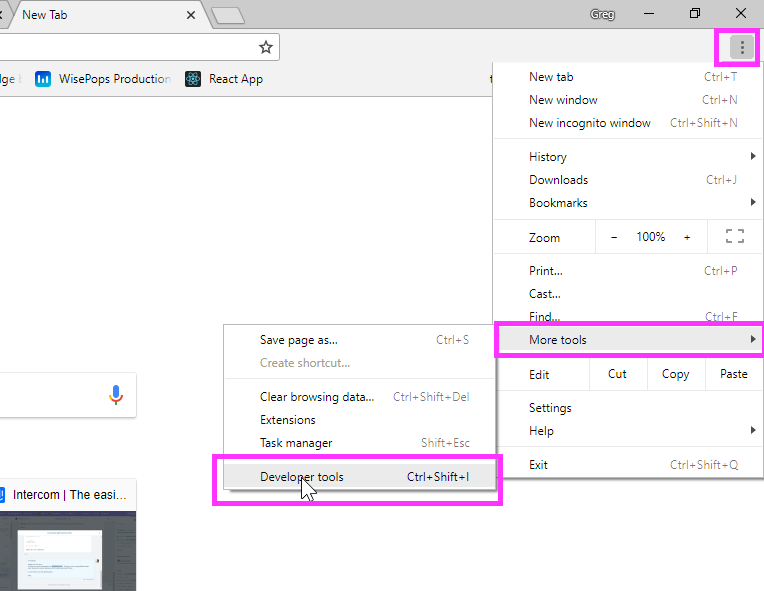 In Chrome's main menu, select "More tools" and "Developer tools". You can then select "Console".